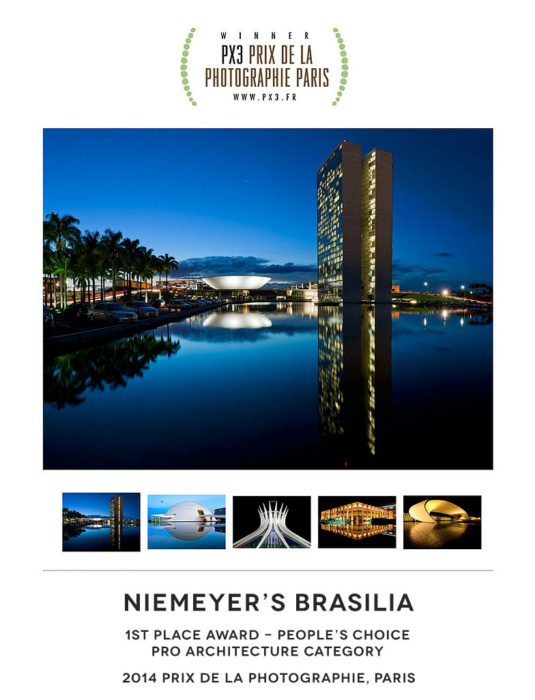 Andrew’s series Niemeyer’s Brasilia has won the Gold Medal in advertising and First Place – People’s Choice at the Prix de la Photographie, Paris (Px3) this week. He also took a Silver Medal in the Fine Art Architecture category this year. 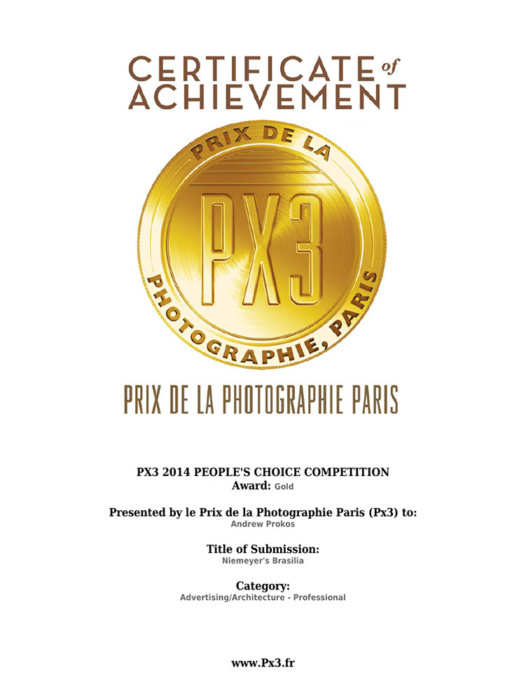 That follows a silver medal at last year’s International Photography Awards (Lucies) for the same series. You can see the winning entry here.